Washington DC – AURA announces that Dr. Dana Lehr will be joining the organization as AURA’s new Vice President for Programs. Dr. Lehr comes to AURA with deep experience of the National Science Foundation's Astronomy programs, having worked within the Division of Astronomical Sciences (AST) and Directorate for Mathematical and Physical Sciences (MPS) for over a decade. Most recently Dr. Lehr was the Program Manager for NSF’s Cooperative Agreement to run the National Radio Astronomy Observatory, and the US's partnership in the Atacama Large Millimeter/submillimeter Array (ALMA). At AURA, Dr. Lehr will be working on a range of programs to ensure the organization focuses on exploiting synergies and delivering greater value for its community and for government agencies across AURA’s diverse portfolio. On making the announcement, Dr. Matt Mountain, President of AURA said, "We are extremely excited Dana is joining us. 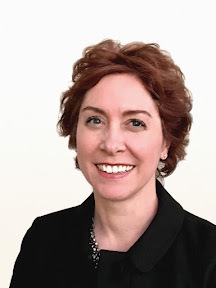 With the increasing complexity of our programs and our government interfaces, Dana’s considerable experience will help AURA better serve our Agency customers and the Astronomical community."